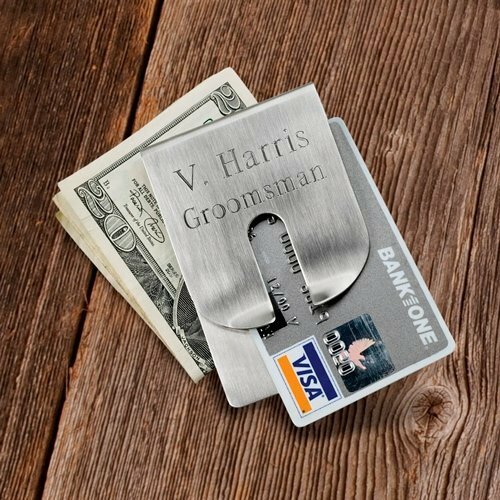 For men who prefer not to carry a wallet, this elegant money clip is a great place to store credit cards and paper bills. Made of lightweight and durable silver metal, the stylish clip measures 5 1/4" x 3 7/8" with a groove in the center. 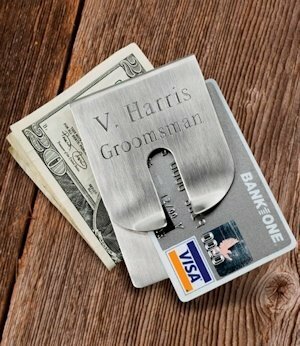 Customize each piece for the men in your wedding party by indicating up to 2 lines of custom text during the checkout process - 15 characters per line (shown with name and groomsman title).